In a study conducted by OfficeMax they found 46% of employees surveyed had difficulty segregating clutter from essentials. How many stress balls do you really need? How many pens do we need? Generally, one that works is great unless you work as an artist. It is ok to say no thank and refuse the tradeshow bags; it is ok to refuse to follow so many people on Twitter, Instagram and Facebook. Ask yourself do the newsletters, tips, and emails that fill up your inbox warrant space in your day? Do they add value to your working day or are they a distraction? Set limits on what you print out and store on your desk top or in the cloud. Set limits on how long you hold onto emails which you intend to read when you have a spare moment, chances are if you have not read it in 2 weeks you are not going to read it. “Set with a limit of 2 boxes in our imminent move to a new workspace, I found the tips on how to identify clutter and how to declutter very useful. The connection made between our clutter and the environment was thought provoking, making me stop and rethink before bring adding more things to my space. Rethink what is working and what’s not working for you. Rather than introduce another new organising system, it is important to look at what is currently working, no point in reinventing the wheel, either tweak it or refresh it. You will instantly recognise what is working, because that is where you go to all the time, it’s what you use the most. What you don’t use is sitting in the back of the filing cabinet, on the shelf covered in dust or you constantly work around it and never use it. As hotdesking and offices become smaller, we no longer have an area to spread out or the luxury of a desk to call our own, it’s important to utilise the space you have available. There is no room for excess stuff, we need to rethink how we use our flat and vertical surfaces and what we carry around with us. We cannot stretch our four walls to accommodate our stuff, so we have to rethink the space we have. Look for stackable storage to utilise your vertical space, look for light weight transportable storage if you are on the go. Shift cabinet shelves up and down to fully utilise space. Daily, weekly or monthly routines are one of the best ways to keep clutter at bay. Daily: At the end of each day clear your desk of clutter and return items including digital files to their correct home. Weekly: Review your wallet, bag, briefcase, back pack on a weekly basis, remove receipt, action them, file or recycle. With the desk clear it’s time to clean the space. Grab your cleaning products and start cleaning the desk, don’t forget the phone, computer, coffee cup, flat and vertical surfaces. Don’t be surprised how much food falls out of keyboards. Now that your desk is clear of clutter and clean, the trick is only return what you truly need and want. Be realistic when it comes to the “wants” we might want a lot of things, but if they take up valuable space and get in the way of doing your job, they are CLUTTER. Drop Zone FREE nationwide recycling service for televisions, computers, printers and computer peripherals. Available to all householders, small business and schools. Recycling Near You: On this site you can search for information about the recycling and waste services offered by your council. TerraCycle is Eliminating the Idea of Waste® by recycling the “non-recyclable.” Whether it’s coffee capsules from your home, pens from a school, or plastic gloves from a manufacturing facility, TerraCycle can collect and recycle almost any form of waste. 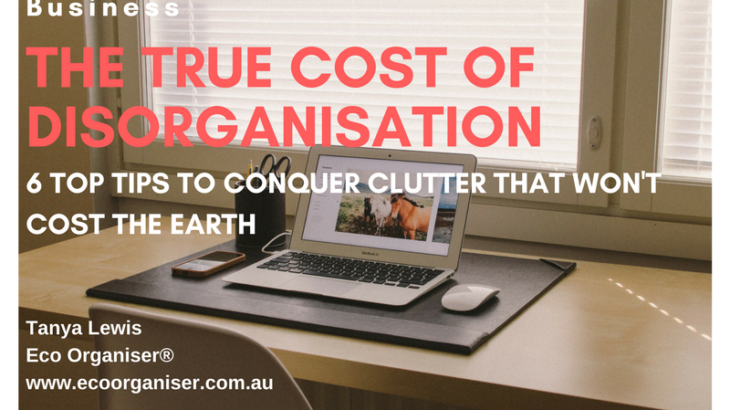 Business Organising Tips clutter, clutterfree, corporate, cost, desk, disorganisation, office, order, productivity, recycle, reduce, repurpose, rethink, reuse, routine, small business, systems, The10R's, time management, workload. permalink.